I took a look at the TetriNET protocol specification and well, it's fairly simple! Even a MSX could do it. TetriNET client to server messages. 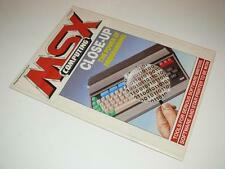 It would be fun because a MSX could join a match with other clients from Windows, OSX or Linux. This protocol seem indeed not to difficult. Would be an interesting project. And fun to play against a PC or other client. I will think about it. Maybe i can do it. When I boot SymbOS it gets to the desktop but the mouse won't move..
memory...is this thing booting with only 64kb and crashing on startup? SymbOS takes the default mapper which is assigned in DOS2. Maybe it is not a mapper problem but a driver problem? If you start SymbOS, it will load the device (storage) driver into memory which was selected during setup. Did you run symsetup.exe and was the driver added to the storage device? You can also try to use the keyboard after booting SymbOS. (CTRL+ESC) will open the start- menu. (Then you know if it is a mouse problem) If you can't open the startmenu using the keyboard probably SymbOS was not able to find your storage device. If you can open the start menu using the keyboard it could be that the mouse was not detected. Then you can use GRPH+SELECT to re- detect the mouse. This can also be used if you decide to switch the mouse on a different joystick port after booting SymbOS. For some reason, after first installing the 3.0 "upgrade" for 2.8 (or 2.9?) PT3 files stopped playing in symamp. After reverting back to an unmodified installation, they still continued to not play, and even now, with the full 3.0 release, they're still silent. The previously included Stakos files play fine, why is this? I never heard about that. Could it be that the files are corrupt somehow? If you download the music files again does that helps? .. very strainge.. There is some exciting news going on in the CPC community at the moment. There is a new piece of hardware developed by Duke, a CPC user from Denmark. It's called the M4 . The device has WIFI and a SD card. During the past weeks Prodatron was busy to develop a driver for it (For SymbOS) Yesterday he was able to do some first stable tests! So we had a chat session using the CPC with Wifi network! On the CPC Wiki there is some screenshots and information about it. 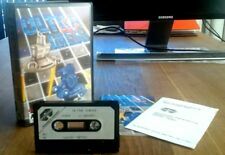 It is not MSX news .. but cool SymbOS news !! Let's hope the CPC will make a lot of network applications so we will have the benefit! The cool part is now that i can continue my work on the IRC client for MSX.